Since the Lawson upgrade would take approximately one year, there was some time to adjust and test a new handheld mobile scanning solution. As a strategic partner to Lawson, Emkat was brought in to work with WellSpan and provide expertise on the selection of the hardware unit. Emkat provides WellSpan with a sampling of recommended devices that were compatible with Lawson’s software and WellSpan staff were given the opportunity to test the devices in their work environment to identify which worked best for their needs. To make the selection, WellSpan staff considered several test criteria, including hands-on use, communication range, data security, durability, battery longevity and charging options, ease-of-use, and comfort. 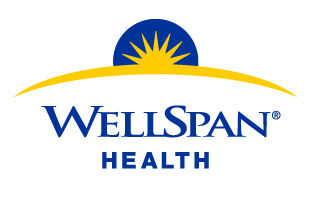 “We were looking for the best fit for our specific facilities and something that would provide advantages today and for the future,” said Patricia Snyder, Manager of IS Administrative and Financial Applications at WellSpan. WellSpan selected the Dolphin 9500 mobile computer because of Honeywell’s support, the ergonomic design, and the ease of data entry on the interface. In addition, the 9500’s wireless communications was a big plus as it provided the option for secure and real-time updates of entered data. The 9500’s Shift-PLUS™ battery performance was another key benefit as it provides 10+ hours of battery performance for extended shifts. Docking stations with auxiliary battery chargers were especially important on weekend shifts, when units would be away from charging and docking stations for extended periods of time. Herbert also notes the significant time savings that has emerged from using the 9500 units. The trips to and from the docking station to download the data would take anywhere from five to twenty minutes each time, with several trips occurring over the course of a single shift. Staff efficiency increased as a result of this time savings, freeing up staff to focus on other activities. Because of the successful 9500 deployment in the two main hospitals, WellSpan is adopting the mobile computer for inventory systems in other places within its facility, including critical areas such as the stand-alone surgery center and the dialysis unit.